There are some fascinating animals in Chile to encounter and see when exploring this South American country. 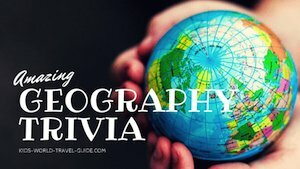 On this page, Chilean students will show you some pictures and tell you some interesting facts about the Chilean wildlife and animals. Which animals in Chile should you look out for? You will encounter wild animals mainly in national parks but you can spot many of them also when you explore the country. Macaroni Penguins are very interesting animals in Chile. 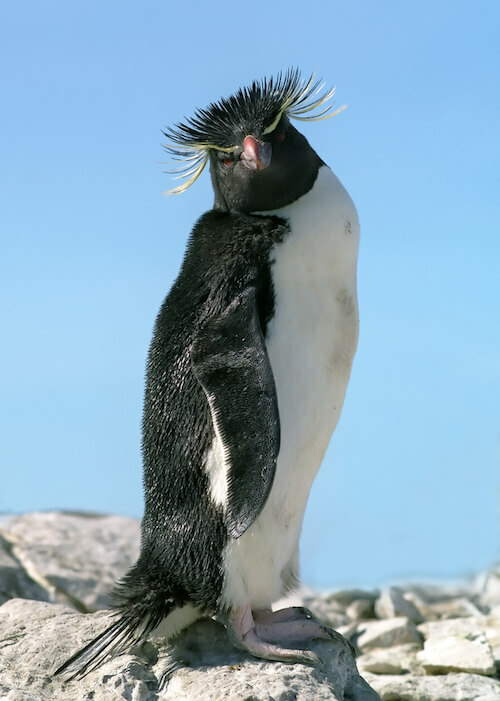 If you see a penguin with yellow feathers on it’s head you should know that is a Macaroni Penguin. Macaroni Penguins have flippers that make them amazing swimmers. Macaroni Penguins often slide or surf on the snow to get around. It is much faster than walking for a penguin! They live at the far south of Chile. These penguins swim with seals and Blue Whales off the coast. They eat krill (a small fish that looks like shrimp), small fish and squid. These penguins live in cold parts of Chile. 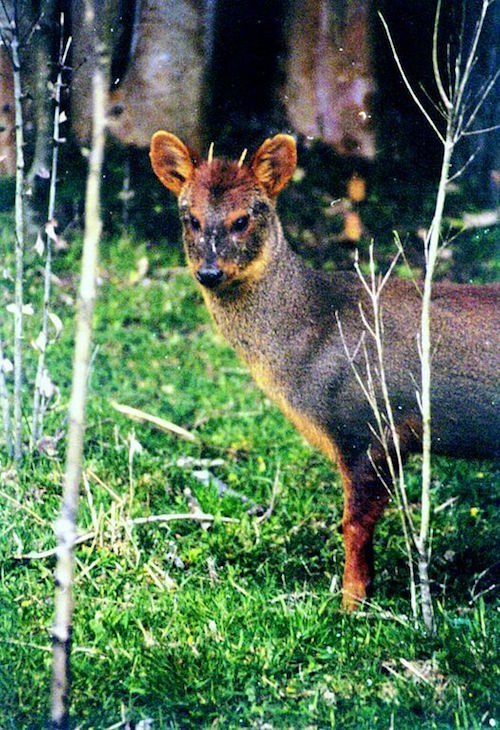 A Pudú is a small deer that lives in the forests of southern Chile. 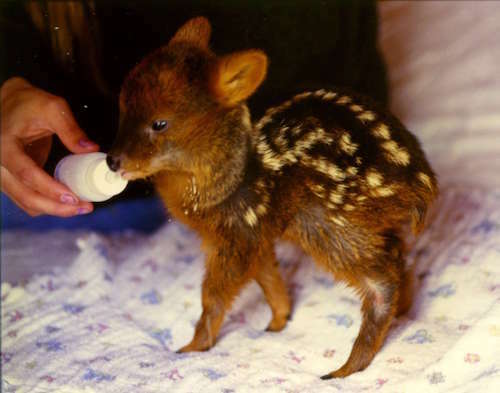 At only 12 inches (30cm) tall, it is the smallest deer in the world. It weighs about 14-30 pounds (6-13kg) and it is 14-18 inches (35-45cm) long. Pudús are herbivores and like to eat bamboo, leaves, bark, twigs, buds, blossoms, fruit and berries. Pudús are very hard to find unless you are very lucky and venture deep into the forest. Their fawns (babies) have spots as you can see in the image below. This one is fed by hand in a rehabilitation centre. 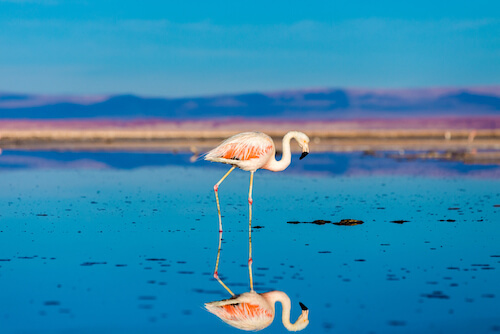 In Chile, Flamingos can be found along the coast. Flamingos usually live between 20-30 years. They have bright pink feathers and are quite tall with 110cm - 130cm (up to 50 inches). They live usually in large flocks in coastal zones and small bodies of water. Darwin's Frogs are as small as a leaf and they live in Argentina and Chile. 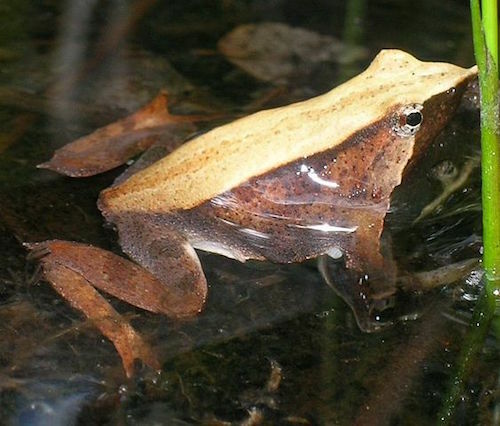 The Darwin's Frog is named after Charles Darwin. Darwin's Frogs don’t look like other frogs because they have a pointed nose. They can be found in beech trees, forests, fields and slow streams. They live mainly in the cold regions of South America. They look like leaves to camouflage, so if there are predators they can hide. Did you know Darwin’s Frog grow in their dad’s mouth? Condors are the biggest animals in the air because they have a wide wing span with wings that grow up to 5 meters (14.5 feet) in length and their body is 50 cm long (1.5ft). Even the young birds already have a six-meter-wing span (almost 20 feet)! 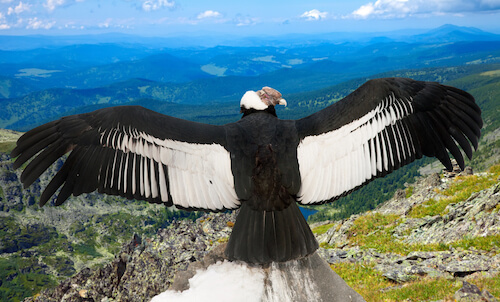 Condors live in the mountains. Condor males are black and the neck is white and females are just black. The Condor eats dead animals and after one or two minutes, it vomits the remains of the dead animals, such as bones, that it could not swallow. The Huemul is a herbivore and almost extinct. It is often referred to as the South Andean deer and lives mainly in the mountains in Chile and Argentina. With the Condor, the Huemul is seen in Chile's coat of arms. 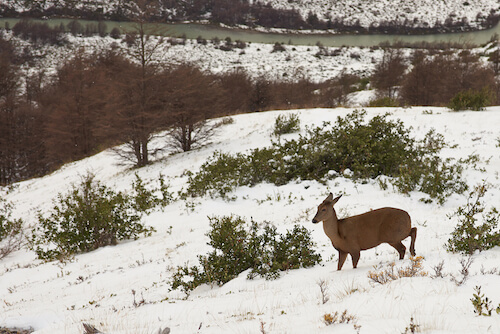 The Huemul is hunted for its nice fur and is now an endangered species. Furthermore, there is the Vicuña, a related species to the Llama, which gives very fine wool for the winter. Their wool is very expensive, as it is soft and the animals can only be shorn every three years! 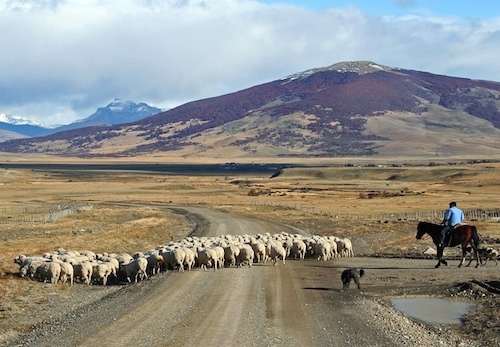 The wild animals live mainly in the Andes highlands in Northern Chile. 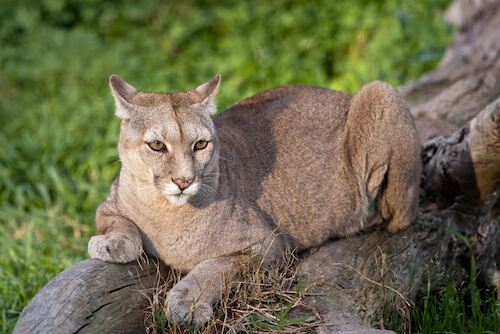 Then there is also the beautiful Puma, which is also a carnivore and eats Snowshoe Rabbits. 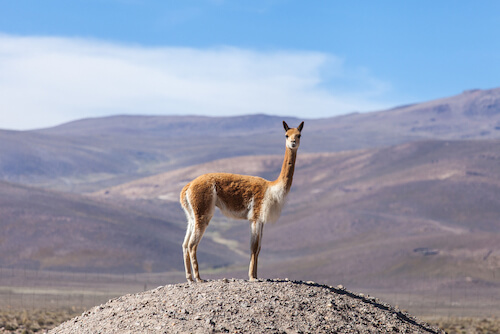 Many animal species are endangered or threatened by extinction in Chile such as the South Andean Deer (Huemul), Chile's national animal along with the Condor, Chile's national bird. 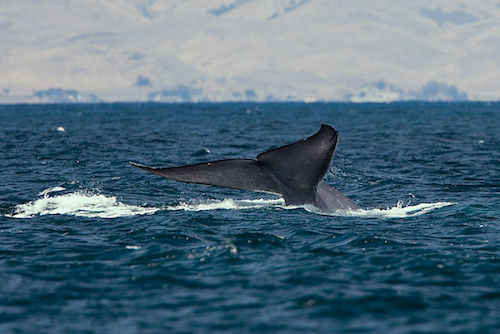 The Blue Whales are among the most endangered species in the world too. The Blue Whale is the world's largest animal. Did you know it weighs as much as 33 elephants? The heart of a Blue Whale has the size of a VW beetle car! They eat more than 4 tonnes of krill each day. Blue Whales are also the loudest animals on earth, as their low frequency whistles can be heard over miles! Photo credits on Animals in Chile page: Own images, wikicommons and Shutterstock images. Text credits on Animals in Chile page (edited): Many thanks go to the 4th Grade teaching team and the students from the International School Nido de Aguilas in Santiago/Chile. 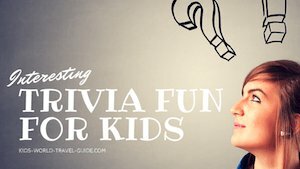 'They worked collaboratively with their classmates to put together a travel guide for kids-world-travel-guide.com that informs others for research or a trip to Chile.' 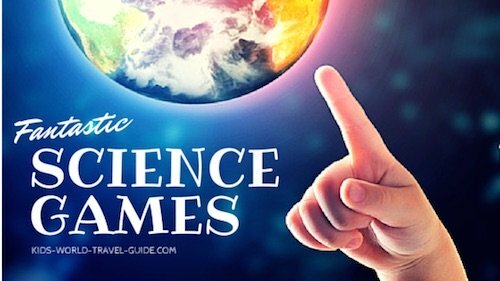 Click here to learn more about the International School Nido de Aguilas, where the authors of this Chile travel guide go to school. 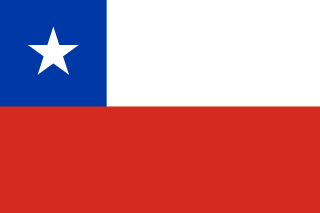 And make sure to read more fun facts about Chile here in our Chile guide.